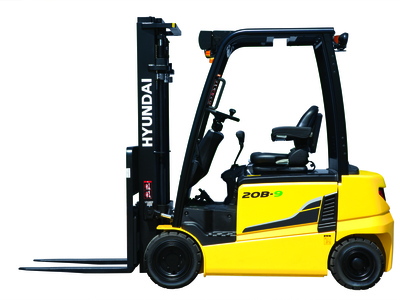 Hyundai introduces the 16B-9, a new line of 9-series electric forklifts trucks. This newly designed 4 wheel counterbalance truck provides improved ergonomics and unmatched performance. This forklift has it all… smooth running, operator comfort, dual AC drive system, low energy consumption, anti roll back, exceptional ramp start capabilities, gradeability and a lot more. The 16B-9 will soon become your favourite truck in your fleet!